« Looking for death on the streets. And finding it. She’s the toilet in my house. 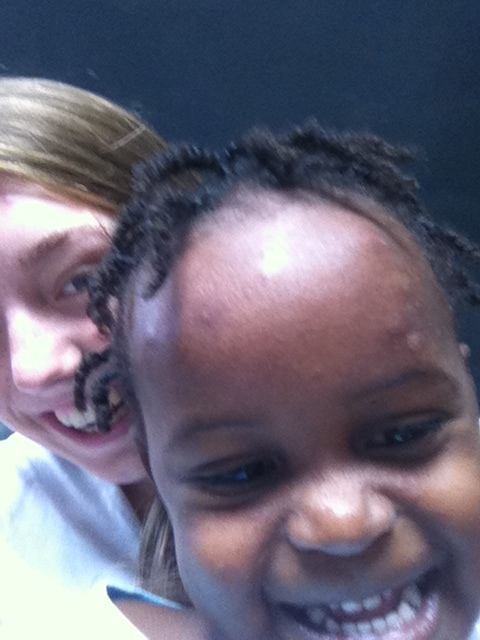 I’ve been feeling the love ever since I recently got back from Haiti. At night, when the rooster began his panicky crowing at 3am, I got up, pushed through my mosquito netting and stumbled past sleeping co-workers to our iron-gated front door. Everything in Haiti is locked behind metal. I’d fumble for the key on the nail in the dark (thinking, yet again, about how we’d all die if there was a fire, locked inside as we were), to open the doorway’s Adams’-Family-creaking gate. Then, once outside in the still-hot Caribbean night, I’d turn on my headlamp and weave my way to the “bathroom.” Despite being closet-small, and covered, over every square inch, in unspeakable fluids, and reeking worse than an ancient, abandoned alley-side Port-a-Pottie, it too was tightly locked behind a metal gate. After fumbling with keys and getting the deadbolt to slide, I’d do my business by hovering over a deceptively-normal looking toilet. Perched on a ledge was a pre-sliced SkyMall magazine thoughtfully provided by our host – to be used as toilet paper. I got, from the experience, a new perspective on in-flight gadgetry ads, once I had the opportunity to choose several times a day which one to use to wipe my bottom. And after the unavoidable juggling act of keys, paper, and hand sanitizer, came the bucket pour. You couldn’t just pull a handle. Well, you could, but nothing would happen. Instead, you had to scoop a bucket of dubious water out of a large plastic bin (while trying to not think about what might be growing in that much-handled bucket). And then you needed an aggressive pour to get the water from the bucket to force the contents of the toilet bowl down a pipe to who-knows-where. No one warns you that splash-back is an inevitable fact of life. Hence the perpetually damp, unspeakable floor. Since sewer pipes were almost non-existent (and “water treatment plants” a thing of myth) BEFORE the earthquake, there’s no telling where your bucket’s dump goes. Perhaps back up under your floor somewhere. And, keep in mind, our toilet facilities during this trip were, by far, the best that I’d seen Haiti offer, either in February or now. But in the best of homes, there was at least, in February, a sense that the bucket-dump into a rocking shell of a damaged toilet was a temporary approach to sewage and sanitation. October’s trip (and its cholera outbreak) proved that assumption wrong. Even knowing there hadn’t been “much” progress, I still went nine months after the earthquake hoping to see change. So was there change? Or was my toilet experience symbolic of all Haiti’s lack-of-progress? Turns out, Port au Prince was different. But not exactly the way I’d envisioned it. For a start, the city was heart-breakingly neater. Port au Prince looked as though a million women with twiggy brooms had, together, swept the dirt of this entire San Francisco-sized metropolitan area. Literal canyons of dust and rubble had been brushed away or tucked into corner lots. And walls were dismantled. By hand. We saw a man taking down one listing concrete-block wall with nothing more than a broken piece of rebar. There was nothing else for him to use, not even a hammer, much less a sledgehammer. Since there’s no heavy machinery at work, the dismantling can only go down as far as the owner is able to bang it out, leaving behind sturdier triangular corners. The roofless homes marching in a line across a hillside, originally shaped like rectangles, now looked like jagged broken-off teeth. It is still clear that the city had taken a solid punch. And now it’s swaying under the on-coming battering of cholera and a storm, both of them threatening to undo what progress has been made. You see, the other signs of progress were more social than structural. Since February, people now thronged the sidewalks, weaving like schools of fish, the motion and conversations constant – where before there were only random flat-faced becalmed groups, drifting here and there like untethered seaweed, so abnormal in movement and structure that you worried about whether they could survive. Fragile social roots have struggled to take hold after such devastation: socially organized camps, widespread advertisements for candidates in the upcoming election, and the painful tiny individual accumulation of belongings under a plastic sheet. There still are very very few actual “tents.” Mostly people still live under suspended plastic sheets. But with storms bearing down, those same signs of social-progress-against-all-odds may be destroyed. Cholera is a lethal infection of hurricane proportions. You can die in as little as 3 hours, with your entire body’s amount of fluid coming out as stool. 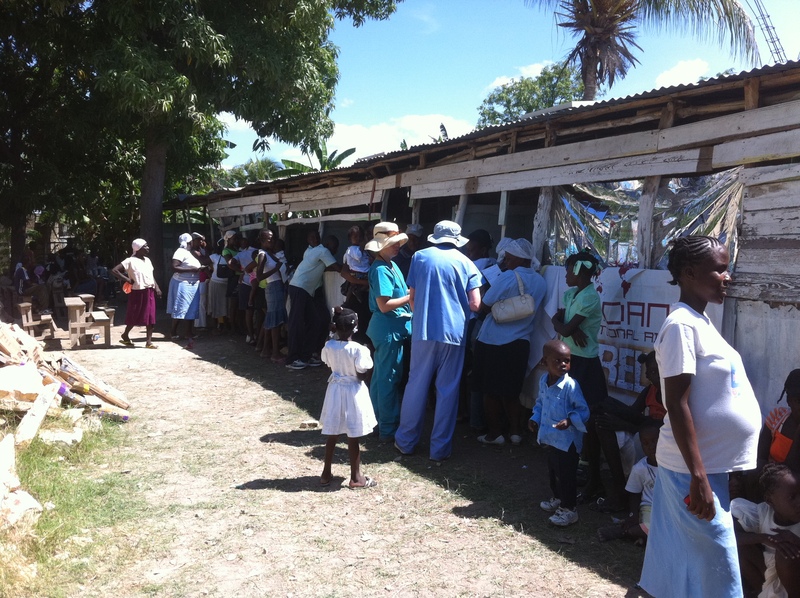 Socially, in Haiti, I found in February that there was already tremendous stigma attached to diarrhea. Not that surprising, really, if you think about the realities of living in a parking lot without a toilet while surrounded by hundreds of other people. And now there are concerns that cholera may have been brought to Haiti by the very international workers who came to help. Besides the devastating toll on lives (with reports ranging from 200 to Russian reports of 500 dead from cholera), how much current, and potential, good-will could such an event destroy? Now there are reports of people being asked to “voluntarily” evacuate their sheet cities. But where do you go when you’re already sleeping on the mud with only a plastic baggie of belongings you’re trying to keep dry? What if you’ve only now, after months of struggle, found a group that can band together to make sure none of us women are raped when we go to pee in the night? Throughout time, we humans survive, and improve our lives, by banding together – so what does this level of forced social disruption do to a those who have only recently found each other? I saw patients in Gonaives, a Haitian town that didn’t even really make the news that much when a hurricane blew through in 2004 and left its entire population of 200,000 homeless, and 2,000 people dead. 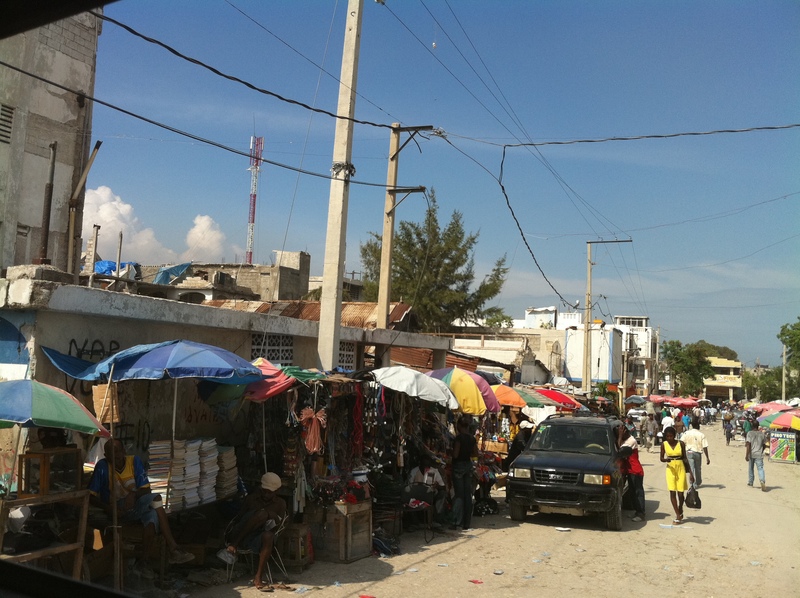 To that destitute not-yet-recovered area, 70,000 more people from Port au Prince were relocated after the earthquake. We saw patients who were both locals and evacuees. The area is so poor, that it took our translators several hours to get us to realize that no one owned a spoon. You couldn’t give a mother antibiotics for her baby and expect her to be able to measure them out. So we tore the tops off cough-syrup bottles and gave them to moms, demonstrating with them how much medicine made up a dose. One day, I saw a man who was “100 years old.” Many of the very elderly didn’t know when they’d been born, but he said he was 100, and, by God, he definitely looked 100. A sprightly 100 for sure, but definitely, as we say in medicine, he was one of the very very elderly. He was barefoot, and had the kind of triangular wide-toed feet that people get who have never ever worn shoes – the kind I haven’t seen since I worked in Africa. He wore a hat and walked with a stick, and his blood pressure was an impressive 188/110. There was, of course, no way I was touching that blood pressure, since anything I might give him would only make him worse and he’d made it this far with it untreated. I asked him why he came, having to wait for hours in the sun to see me. He said, through the translator, that he came because he heard there was a doctor, and he wanted to see one. It took us a moment of circular translating to realize that he meant that he just wanted to lay eyes on a doctor. But I noticed as we talked that his right eye didn’t work right – the bones around it were disfigured and tears leaked from it constantly. Searching for a way to make him more comfortable, I asked what had happened. In “the flood” of 2004, he said, he was floating in the water and was hit in the head with a big log. His eye has never been the same. I told him that perhaps I could help with the problem of his eye tearing. He looked dubious. I said, “Your eye – it doesn’t close when you sleep, does it?” He asked the translator, astonished, “how does she know that?” I explained that the nerve had been damaged, and that his eye cried all day because it was forced to stay open all night. I told him he could try taping it shut at night, and the tearing might improve, or even go away. He didn’t really understand “tape,” so we got some of our tape and I demonstrated how to do it. He left, with duct tape and a little acetaminophen for his back and hip pain, amazed at the miracles we in the States can perform. And I was ashamed at how little I had to offer. It was only after the hectic clinic day was over that the story he’d told me finally sunk in. The imagined reality of it – being 94 years old, swept away in a flood, with a blow to the head that broke the bones of his face. What must it be like, to survive through such, and keep on living and learning, walking to see something new and meet people who have come from afar? So I’ve come to appreciate many things after my trip to Haiti. First and foremost, the staggering resilience of the Haitian people. Only, I also have a bone-deep anger, on behalf of my 100 year old patient, and on behalf of all those people who are being asked to leave their tiny patch of mud, and people who are dying of diarrhea, that no one should HAVE to be that resilient. There are, in fact, in our world of random affluence, things that are just wrong. Second, I have also come to appreciate my toilet. She works beautifully. I am now very aware that under her is a sewer line that connects me to an entire social network. Our flag should have a toilet on it – it is a symbol of how we, as a people, work together to improve our lives and our health – the lives and health of even the least of us. It is a symbol of what progress is all about, and a bottom-line (pardon the pun) measure of any country’s success. Perhaps you can tweet a version of it, and/or email it far and wide [here’s a tweet-ready 140-character version:Cap, cap; Cap, cap; a cap, 4 caps sugar, 1 cap salt, 1/2 liter of water & what have you got? http://bit.ly/crWl1i Pass it on! #haiti #ORT]. Or you can send a photo-image of the ingredients with their measures as an attachment or in a text. Or make your own YouTube life-saving oral rehydration video, or write a brain-worming jingle for the rhyme. Get your kids to create a hand-clapping game using the ingredients. Send it all to anyone and everyone. we can make our own storm for Haiti – but this one of life-saving information. And, like all acts of altruism, getting involved can even benefit your personal health. How is that? Well, now that you’ve watched and sent the video, you’ll know how to mix up your own pedialyte instead of making a frantic midnight run to the store. Of course, you personally may want to make yours tastier by boiling it with a mint, or ginger, teabag. And, you can laminate the photo or recipe and put it in your personal disaster kit so you never have to worry about forgetting how to make it. These messages are the letters-in-a-bottle of our age, a thousand folded cranes of hope that we can launch one after the other, knowing that the more we send, the more likely that one, or more, will make it to harbor with a person in need. See, there IS something you can do. Give thanks for your toilet. And steal my video. Then steal it again. What do you think? Ready to spread the word about ORT? Share your take in the comments section. Are you a Doc Gurley fan? You can follow Doc Gurley on Facebook. Doc Gurley is the only Harvard Medical School graduate, ever, to be awarded the coveted Shoney’s Ten Step Pin for documented excellence in waitressing, and is a practicing board-certified internist. You can get more health posts at www.docgurley.com, or jump on the Twitter bandwagon and follow Doc Gurley. Also check out Doc Gurley’s joyhabit and iwellth twitter feeds – so you can get topic-specific fun, effective, affordable tips on how to nurture your joy and grow your personal wellth.